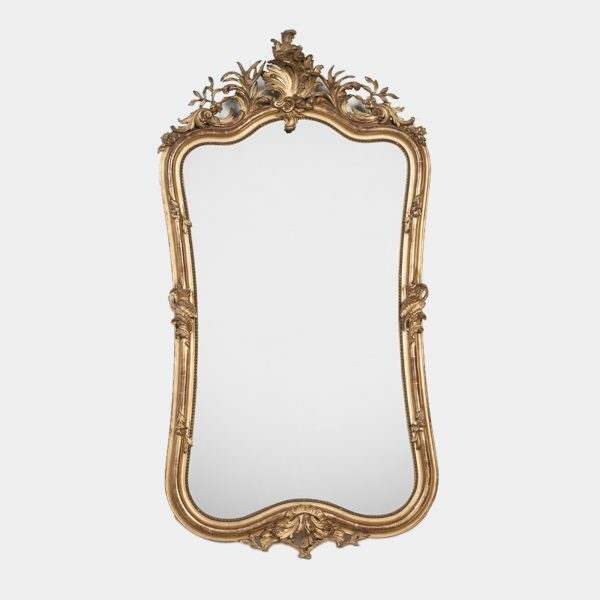 Our mirrors are a selection of authentic quality mirrors from the 18th and 19th century. 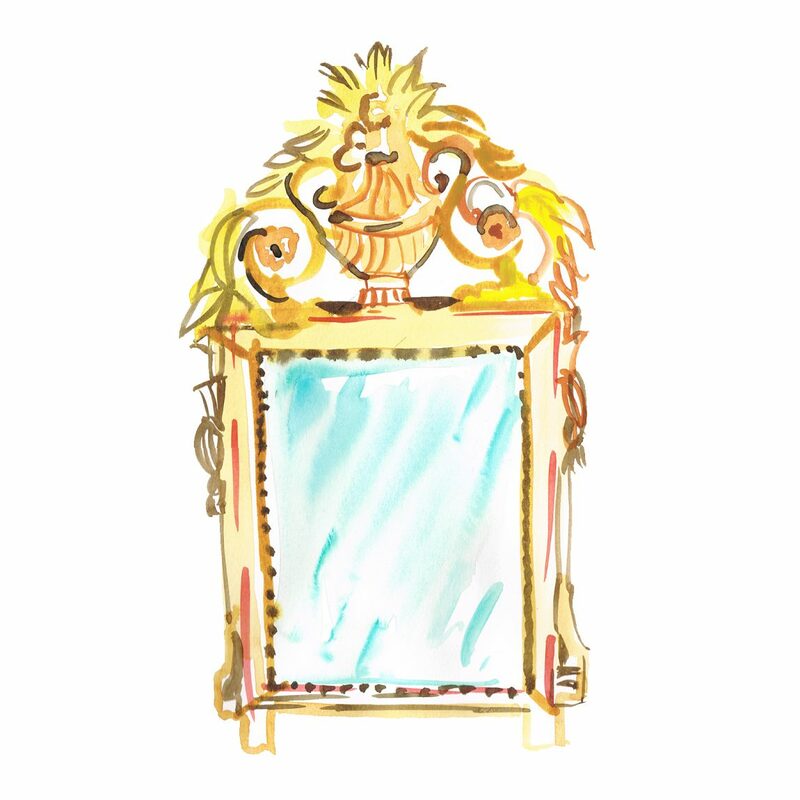 The majority of our mirrors are of French and Italian origin with gilded gold leaf frames and original mercury glass. 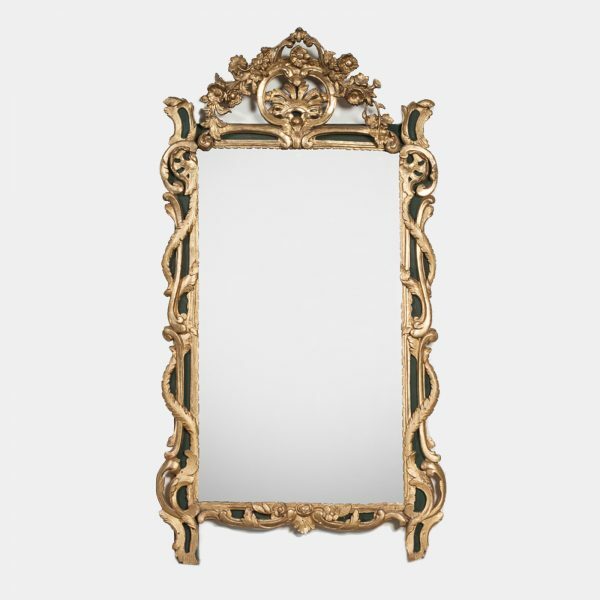 Start shopping for your mirror now! 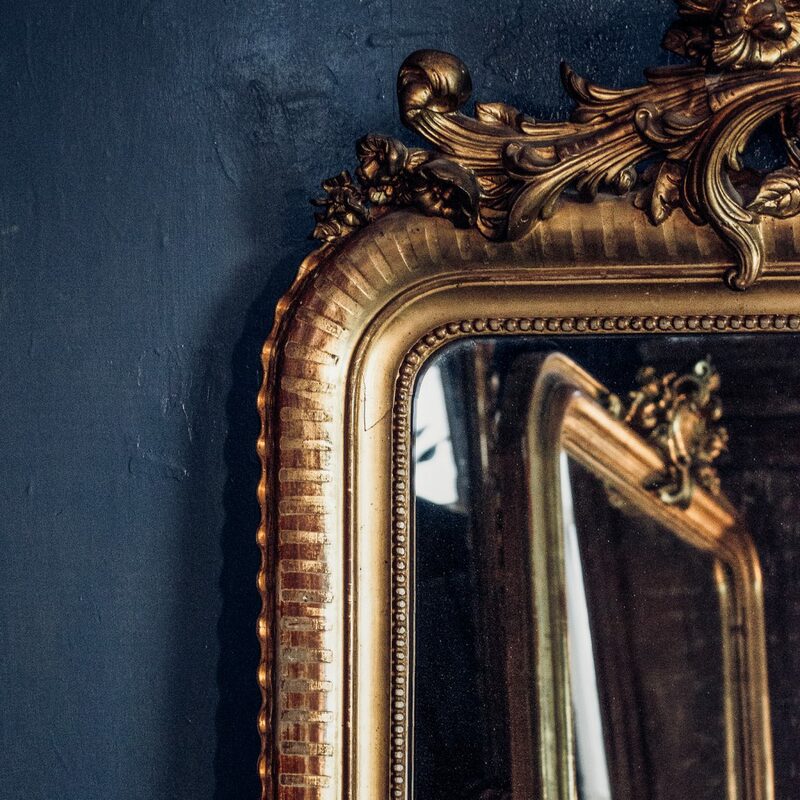 All of our 18th and 19th century mirrors are individual works of art, framing a unique time-image of history. 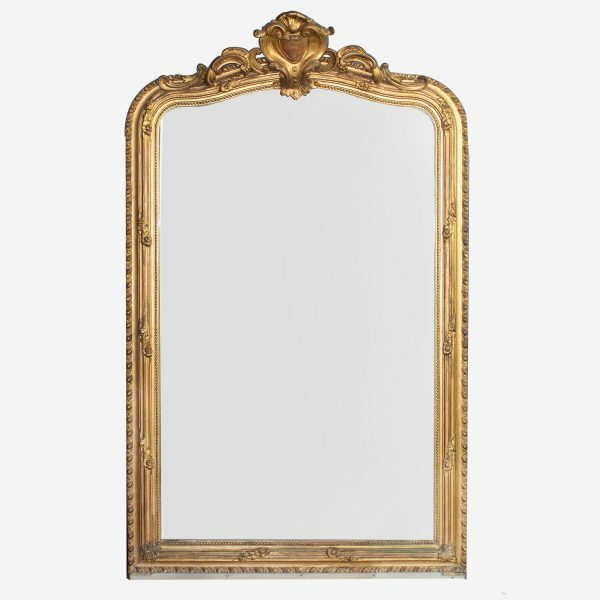 Our mirrors all contain their original mercury or silver nitrate mirror glass. Mercury glass consists of an alloy of mercury and tin that creates the reflecting surface. 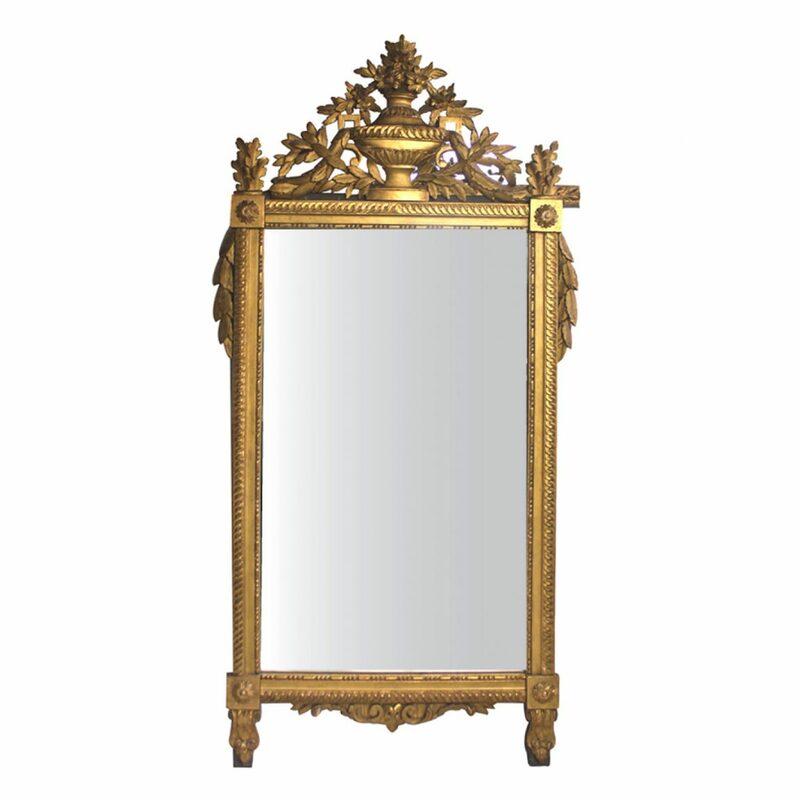 This style is also known as Rococo and uses elements of the Baroque and Regency period excessively. Themes found in nature, such as plants, vines, and acanthus leaves, are forming the main source of inspiration for this style. 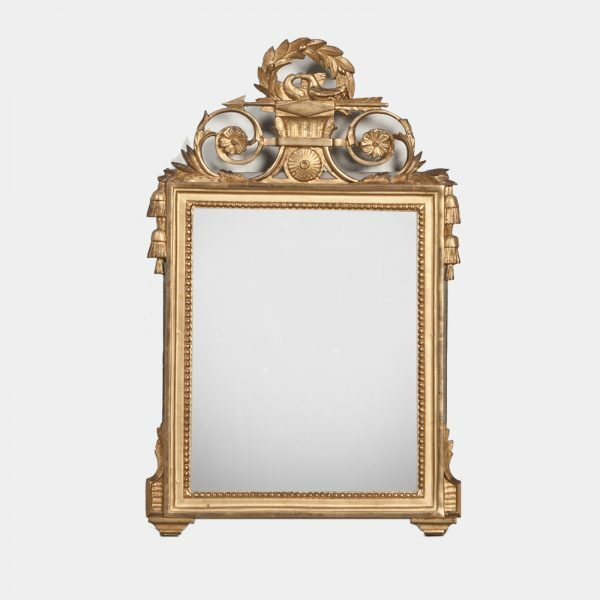 Other motifs used are flowing scrolls, frills and curls on the gold leaf frames. Characteristic for this period is that motifs became more delicate and asymmetrical, resulting in a light and playful style. 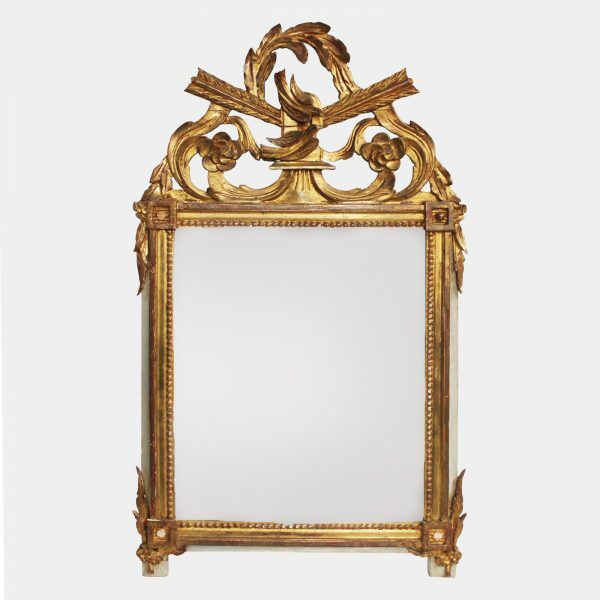 Due to change in the production of French mirrors and the rise of workshops in the 19th century, craftsmen no longer hand-stitched the frames. 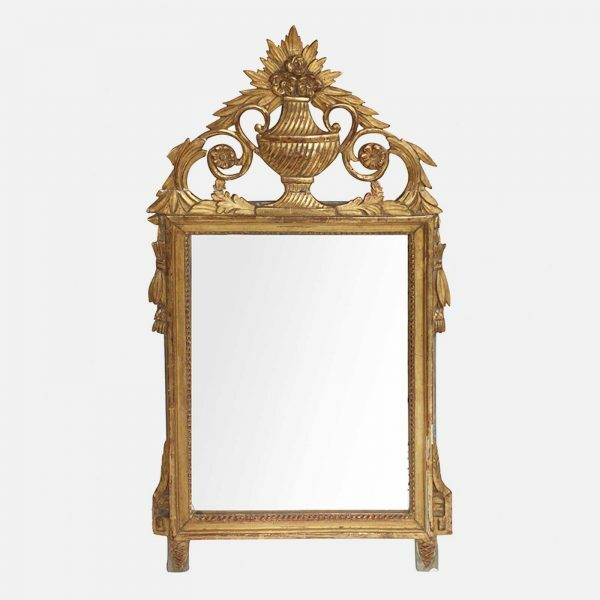 However, the craftsmanship of the mirrors remains remarkable. 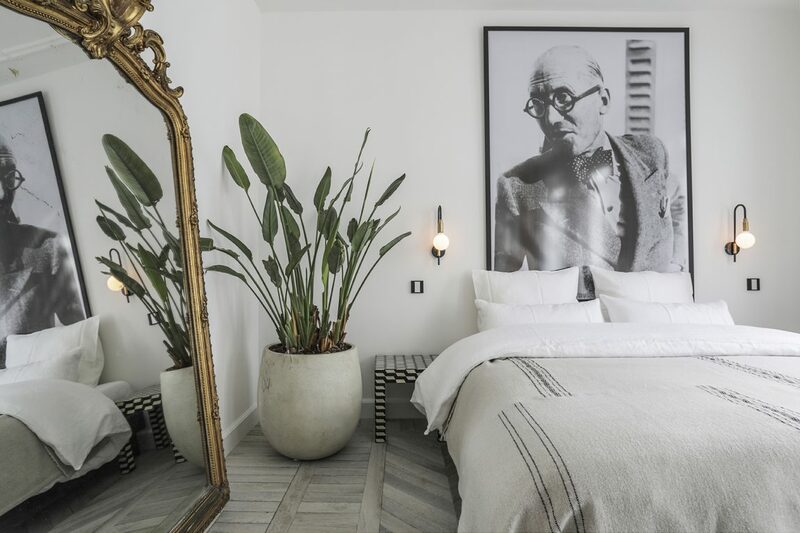 The workshops, became inspired by different styles of the previous centuries. 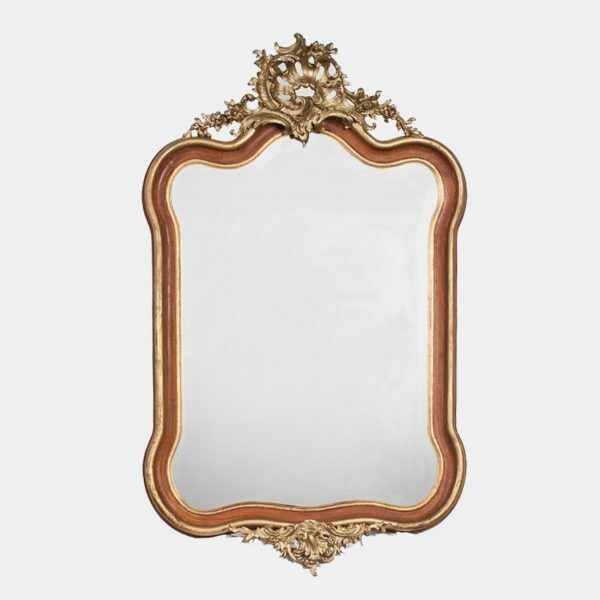 This means that mirrors in the style of different 18th century styles - such as the Rococo, Louis XV, or Louis XVI - are made with 19th century techniques. 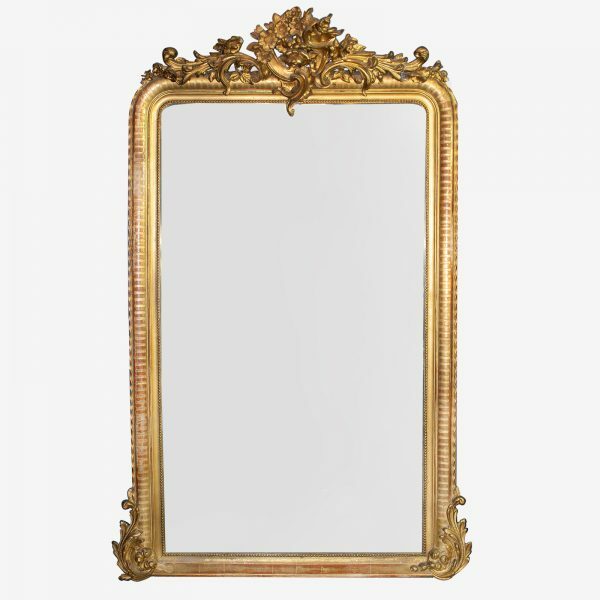 The ancient method of the gilded frame remains unchanged. As response to the excess and rich decorating of the Baroque, the Louis XVI style is much more sober and simple. Frames became more rectangular and more flat. The emphasis on nature as head motif shifted to include the themes of vases, flowers and musical instruments. 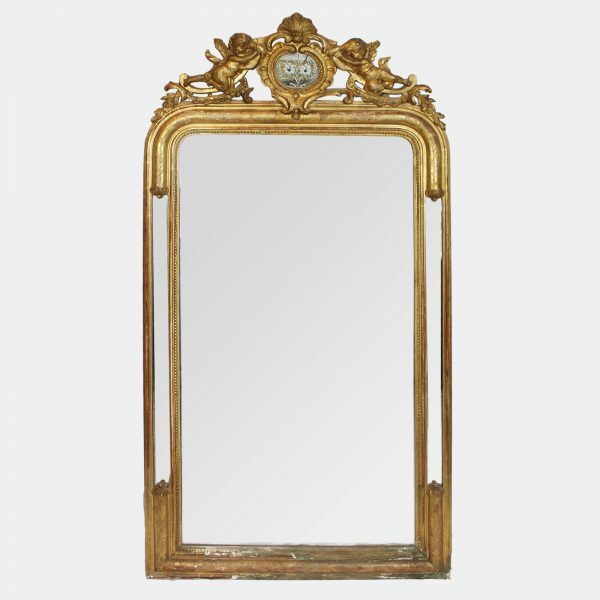 These mirrors are all made in the French workshops during the 19th century. Their motifs vary from very sober to richly decorated, which is most noticeable in the stylized top crests. 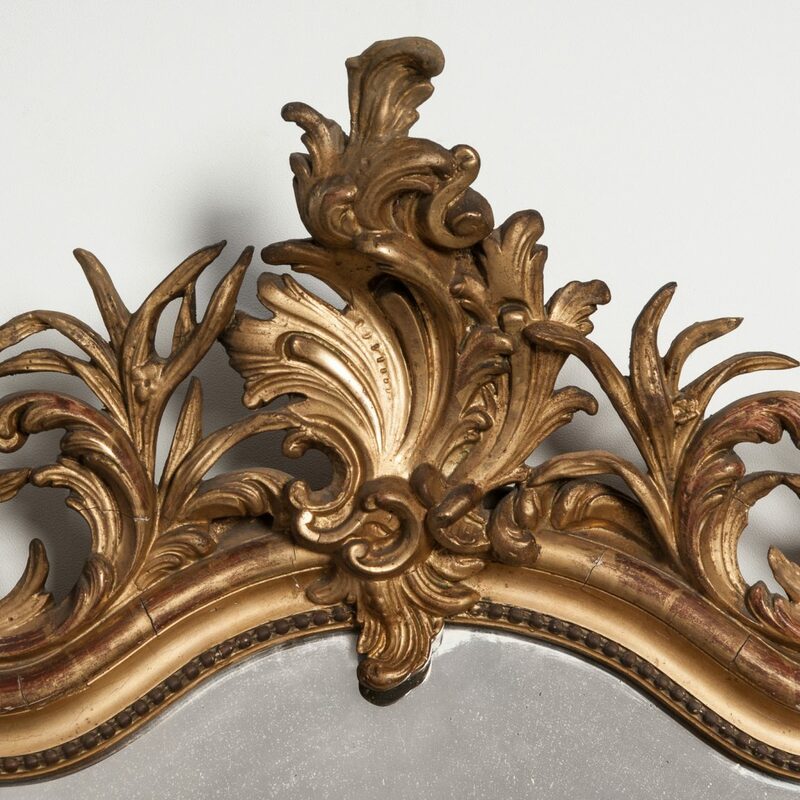 Characterizing motifs of the Louis Philippe style are lots of shells and meandering flowers on both sides of the frame.